It’s a sunny day and I can use my grill! All is good! Yesterday I used the butternut squash that’s been sitting on my counter and today I’m grilling the acorn squash. I love produce that can sit on the counter for some time without spoiling. I have the tendency to purchase beautiful produce and not use it quickly enough. It’s a bad habit I’m working on. This morning I had a dentist appointment. The kind where I had to open wide for over an hour while they started a crown. My dentist is amazing but 1 hour of that with even a mildly arthritic jaw is just too much. For the rest of the day I’m sticking to a soft food diet. I’m not loving the fact that I’m slowly morphing into an old decrepit version of myself. Dinner tonight is an old favorite Fettucini Alfredo paired with the grilled squash. 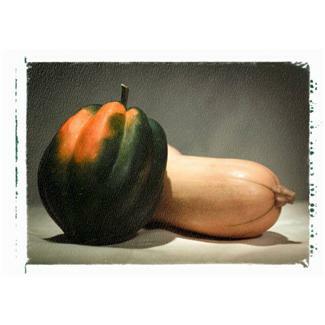 While the alfredo is anything but vegan the squash recipe is easily adaptable. It’s also gluten-free. The one thing I don’t like about squash is cutting into it so I pierced it a few times and microwaved it for 3 minutes to soften it before slicing for the grill. That made the whole thing super easy. Before I get to the recipe I have to mention baby Alyssa who I got to meet today. She belong’s to my friend Kathy and is just the cutest sweetest baby I’ve seen in ages. Alyssa let me hold her and feed her and she slept on my shoulder for a bit. 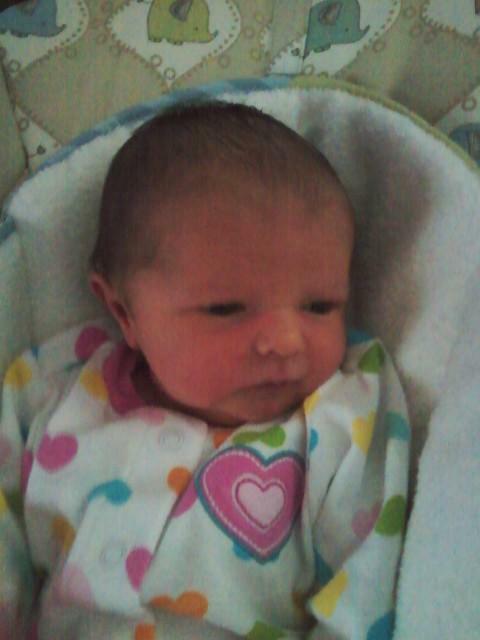 My babies are now adults so I’ve been missing out on the enjoyment of a newborn for quite awhile! Isn’t she a cutie! Since it was just us with no company we ended up picking it up with our hands and eating it right out of the skin. It was really sweet, tender and delicious. The dogs very happily inhaled the leftovers that I placed in their bowls. Ok, well lucky for me my decision to start cooking lighter foods with less dairy product wasn’t an actual resolution. 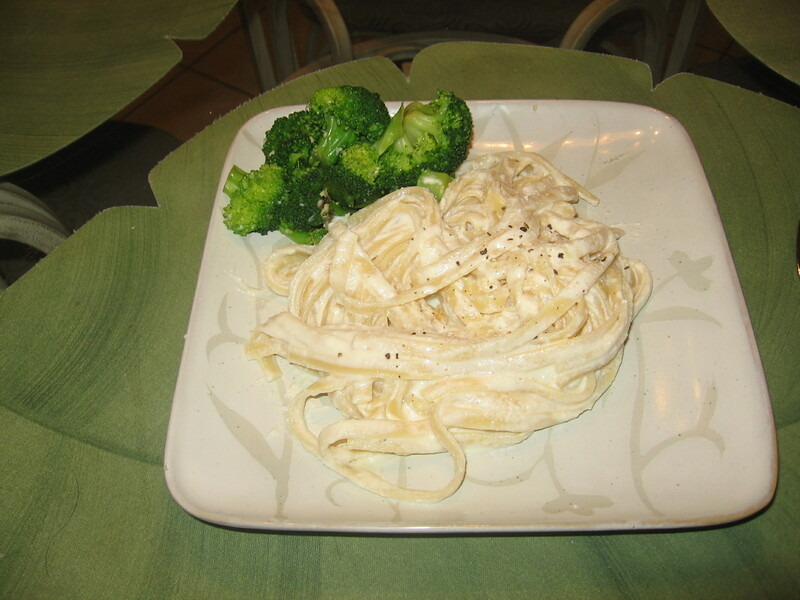 I’m also aware that in my short time of blogging I’ve already posted a recipe for fettucine/fettucini alfredo. However, tonight my son’s dinner request was the good old thick variety of alfredo sauce as opposed to the lighter version that is mostly cream and parmesan cheese. I really like this recipe and normally a little bit goes a long way. It’s pretty heavy therefore small portions are typically fine. In my case this isn’t true because a normal person’s serving is quite different than a 19 year old guy’s serving. I used a pound of pasta for 3 people and have 1 smallish serving leftover. I expected more than that, but it’s fine. I find this recipe works best if you allow the ingredients to come to room temperature before putting them together. Broccoli or peas make a good toss in. Bring the cheese and eggs to room temperature. This recipe is a slightly lightened up version of the classic favorite. It’s not a low calorie version but I cut a few corners while maintaining a rich and creamy texture. The original recipe was one from Emeril Lagasse but I wanted a lighter creamier sauce so I made a few changes. I add some frozen peas for a little color. For myself, this recipe was my entire dinner paired with a nice salad. For my husband, I marinated a chicken breast in some Italian dressing and grilled it. Alfredo sauce does not reheat particularly well for left overs, it comes out a little lumpy. Personally I don’t mind it and plan on taking a serving to work tonight for my dinner. 1 large or 2 small shallots finely chopped.